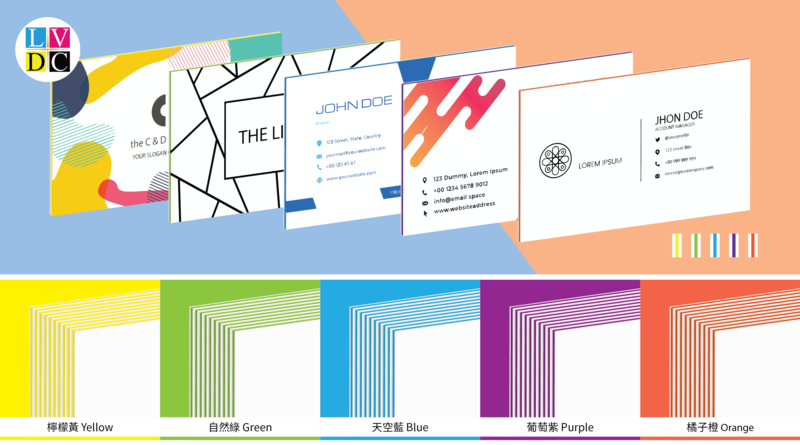 A sandwich card is a colored edge business card. There are four colors available for the colored edge: black, blue, red, and yellow. 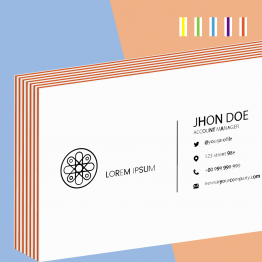 The colored edge is created by using three different papers; two white papers sandwiching a colored paper, making one of our thickest business cards. The two white papers are a bright white. 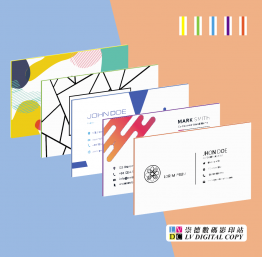 As an uncoated card, it is a true matte, with its natural paper roughness.